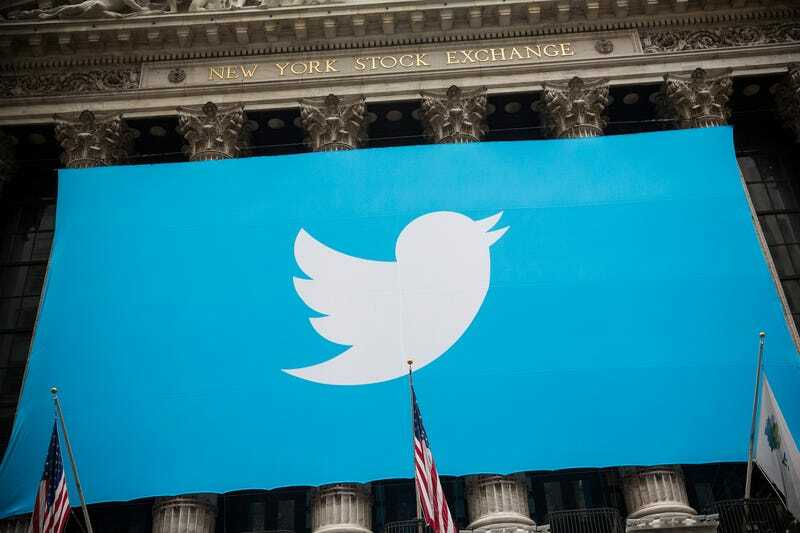 The Twitter logo is displayed on a banner outside the New York Stock Exchange on Nov.7, 2013, in New York City. Guess what? The racists are vowing to fight back … with more racism! The Daily Stormer, an alt-right website that regularly features racist and anti-Semitic content, claims that it has nearly 1,000 “fake black person” Twitter accounts that it plans to use in an upcoming “real life” (as opposed to online) harassment campaign, reports Engadget. We will introduce new ways of trolling, including IRL trolling, snail mail trolling, telephone trolling, hoaxes, shoe company endorsements, etc. And look. We’re not done with Twitter. We've got a big campaign coming up. The site then asks its readers “to create a fake black person account.” It claims to already have nearly 1,000 of these accounts with established post histories, and its instructions for creating an authentic “black” profile instructs users to look to racist stereotypes and “black Twitter” for reference, reports Engadget. It should be noted that another prominent Republican, Donald J. Trump, currently has 15.5 million Twitter followers.